After sweeping the pole position spot for the first 7 races of the 2010 Formula 1 season, the Canadian Grand Prix rates as significant for Red Bull Racing as the event where their consecutive 1st place start streak ends. However, it did not occur without a stubborn fight from Red Bull Racing teammates Sebastian Vettel and Mark Webber. Entering the final Q3 session, Sebastian Vettel stood only 3/100ths of a second slower than Lewis Hamilton's McLaren-Mercedes. However, as lap times continued to fall at Circuit Gilles Villeneuve, Hamilton lowered his own Q2 time by 4/10ths of a second. Enough to fend off the charge of the Red Bull-Renaults, his 1 minute, 15.105 second lap time in Montreal gave the Brit his first Formula 1 pole his the Abu Dhabi Grand Prix last year. Making the Formula 1 pole in Montreal even more memorable for Lewis Hamilton was the fact his McLaren-Mercedes ran out of fuel coming back to the pits at the end of the Q3 session. Providing for an amusing picture as Hamilton was pushing his McLaren down the stretch along the Casino de Montreal. While an entertaining sight for fans, the F1 officials were not the least bit amused by the scene. The McLaren team was fined $10,000 for what is called exceeding the maximum allotted time for returning to pit road. Settling with 3rd fastest, Sebestian Vettel was able to close on Hamilton with a time just 3/10ths slower than the McLaren-Mercedes, his teammate was able to sandwich his way between the two cars through Q3. 5th fastest after Q2 Mark Webber leap-frogged Vettel to led the Red Bull Racing's grand prix charge mustering a 2nd place front row position thanks to a strong Q3 showing. In 4th and 5th Ferrari's Fernando Alonso as well as the second McLaren of Jenson Button are in excellent striking position to take advantage of any first turn collisions which might occur between the front row vehicles. 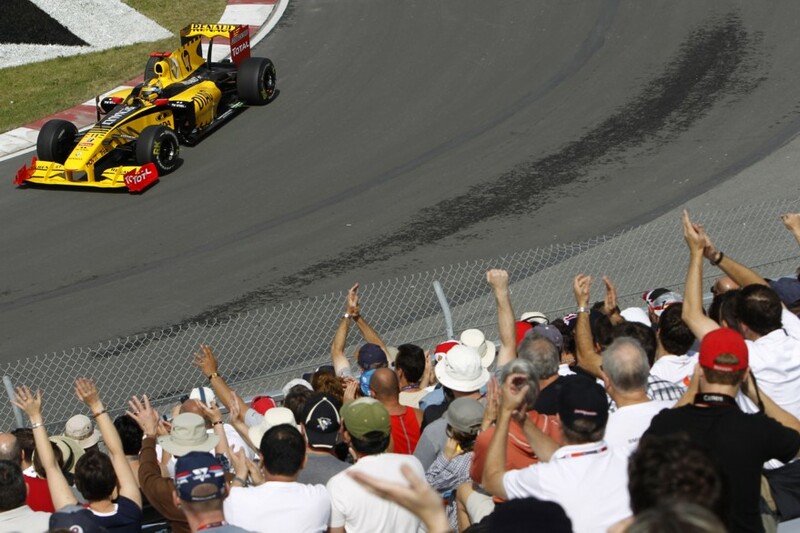 With Circuit Gilles Villeneuve's first lap leading into a tight, slow Senna turn hairpin section, often breeds chao. Deserving a chance to be mentioned, Vitantonio Liuzzi for Force India stormed to 6th on the starting grid. The defending race winner (the 20o8 race winner since there wasn't a 2009 event) Robert Kubica posted a 8th fastest effort. Winning the race with BMW-Sauber in 2008, Kubica's former team starts deeper in the grid with team cars in 17th and 18th place. 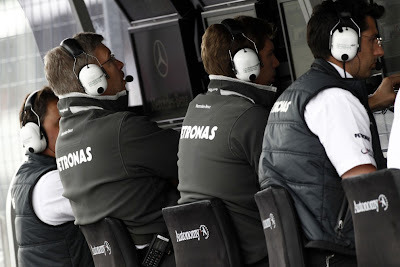 In 2008, the team now known as the Mercedes GP team was the Honda F1 factory team. Since then, Brawn brought that shell of that team taking it to a championship in 2009 before selling majority control to Mercedes-Benz. 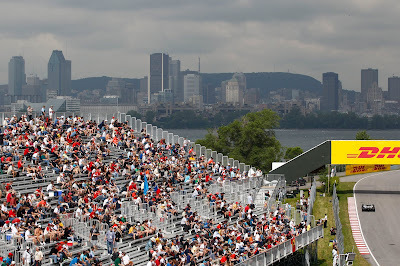 Essentially the first race for the Mercedes factory team, the team had some encouraging runs in Friday practice and even a 4th fastest speed for Michael Schumacher in Saturday morning, the silver arrows were off target in Canadian Grand Prix qualifying. 10th fastest and about a second slower than the pole sitter, Nico Rosberg leads the team with Michael Schumacher shut-out of the Q3 time trial session in 13th place. Ross Brawn offered some perspective to the tough qualifying outing for Mercedes GP. "A very disappointing qualifying session for us today, particularly as I was quite encouraged by our performance yesterday and this morning. However when it came to qualifying, we just weren't able to put our laps together." Almost mid-way through the season, race teams of HRT, Lotus Racing and Virgin Racing are still presiding at the rear of grand prix events as they continue to search for competitive speed. 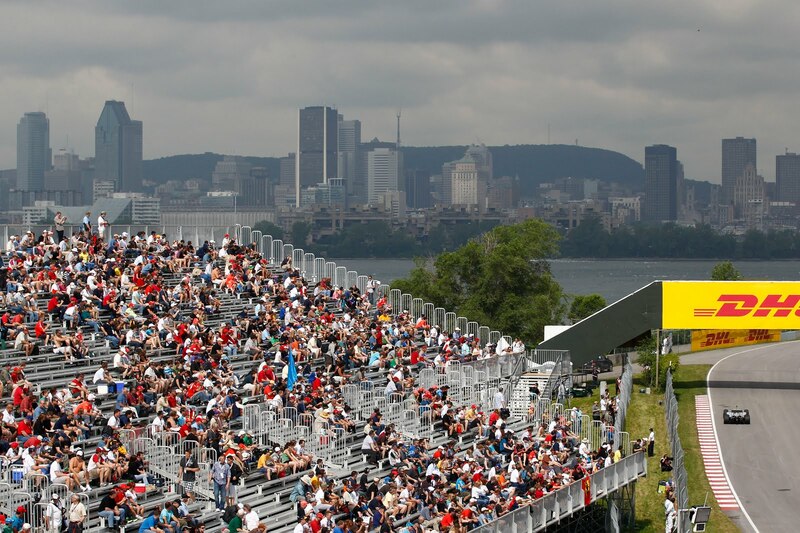 However, in qualifying for the Canadian Grand Prix, the speed differential between the teams have been closing. Within the top times of the top-23 Formula 1 times, 4.8 seconds separate much of the 2010 Formula 1 field.